Welcome to the RHS 1961 Website! A WARM WELCOME to the Roosevelt High School Class of 1961 website. Our goal is to provide a private, ad free website for reuniting you with your classmates. We are not affiliated with Classmates.com or Facebook. Curious about what your classmates have been doing the last 50 years? They’re possibly just as curious about you. If this is your first visit, please click on the "Classmate Profiles" tab and find your name. Follow the prompts, register and create your profile by entering your information and photos. After you register, you can navigate the password protected areas of this website. May the 1961 website bring you the joy of reconnecting with RHS classmates! 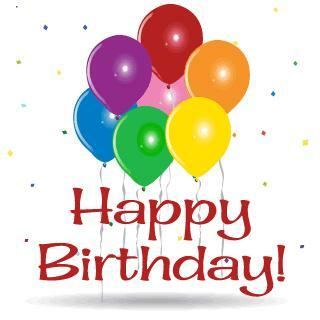 Don't forget to send BIRTHDAY WISHES to our classmates with birthdays in Apr & May. Click on their name in the box to the right and send them an email! Please visit the "In Memory" section and share a personal story about our friends and classmates who have passed on. 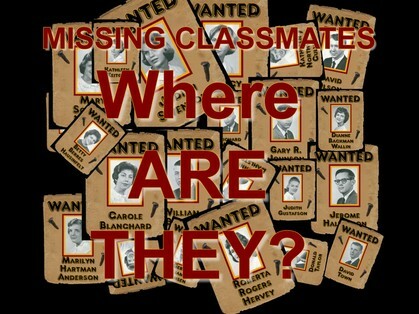 Left click on the "Missing Classmates" tab for the list. Email Notifications from this Website: For those of you with spam blocking or email filtering capabilities, please add noreply@classcreator.net to your email account as a safe sender in order to receive email communication from this web site. We are getting some "bounce back" emails from several of you and don't want you to miss receiving emails from other classmates!